This post is sponsored by The Women Bloggers and Goodwipes. All opinions are my own. When my oldest son was maybe four, we signed him up for t-ball. At that age, the kids are more interested in the dirt, than they are in the game. He "played" one season. A couple of years later, we gave soccer a try. Two little boys in soccer is just as cute as you would think it is. I had always dreamed of being a Soccer Mom. It seemed as though my dreams of being a sports family was coming true. Actually, though, soccer only lasted one season. Let's face it, at that age, the boys were just running up and down the field. Neither of them had much time, or interest, with the ball. Fast forward a bunch of years, our next door neighbor asks Jonah to come play football on the team he coaches. Football? I was hesitant. It's a full on contact sport, you know? 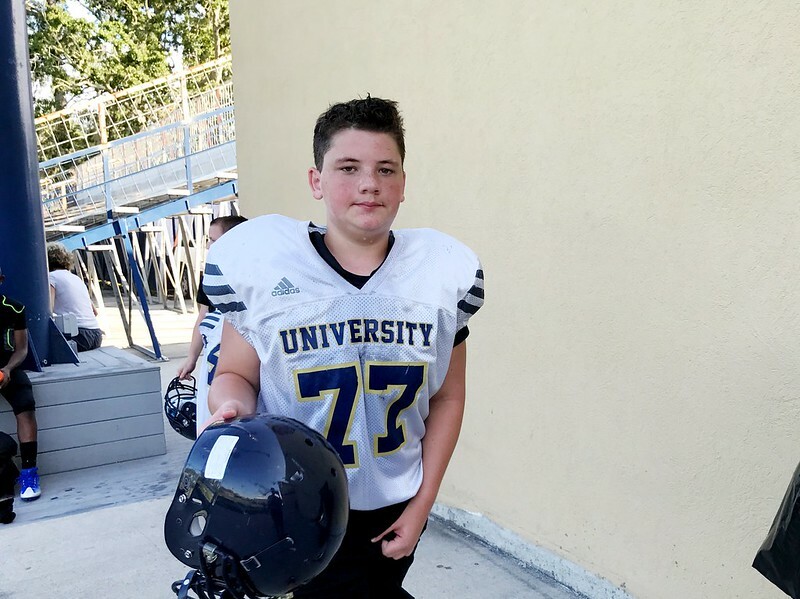 But, I let him play and suddenly I became a Football Mom. Since that day, almost four years ago, we haven't looked back. 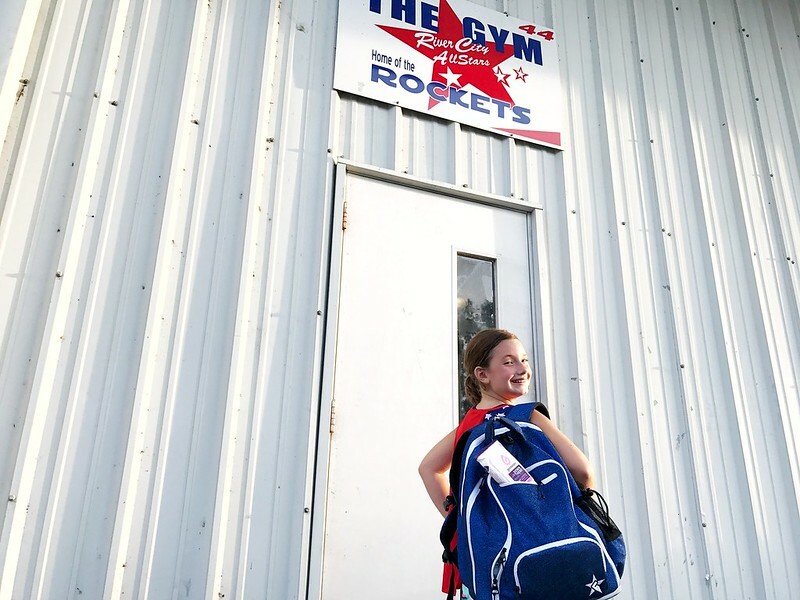 Then, two years ago, we found Allstar Cheerleading for our oldest daughter. We were becoming a family full of sports. Now, we have two boys in football and two girls in cheerleading. And, we're a family full of stinky kids, when I pick them up from practice. 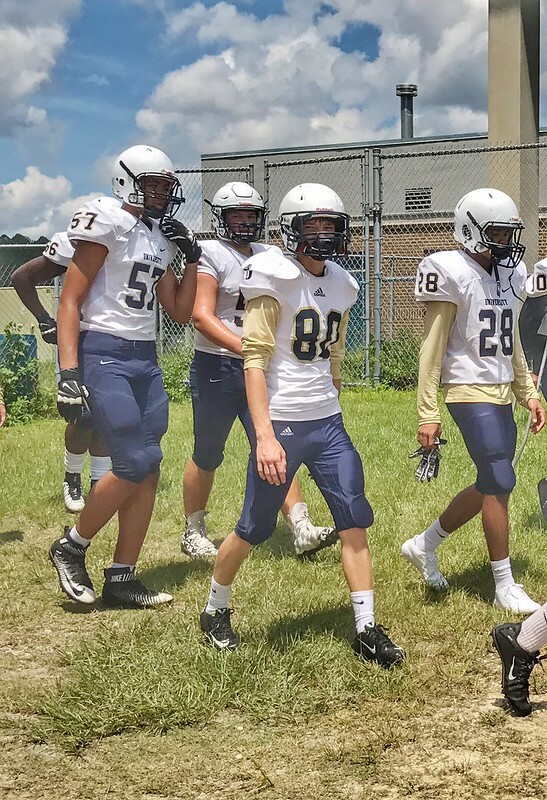 My kids are either on the field or in the gym for a few hours a day, after they finish a full day of school. 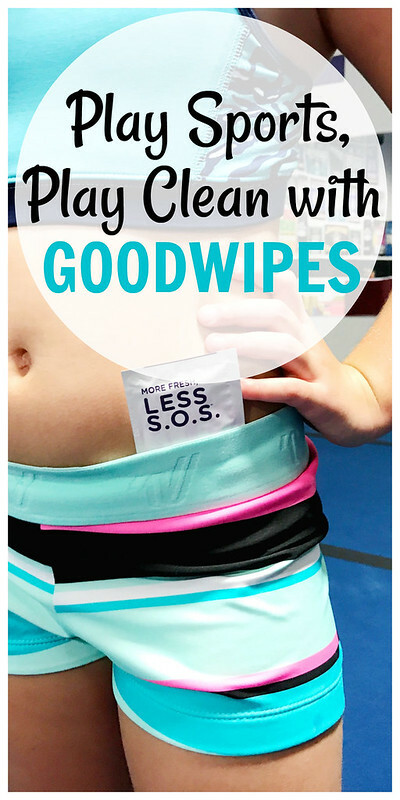 When I first heard of Goodwipes, I knew I needed to throw a package of them in each of their gym bags. Since they aren't able to come home and shower before practice, I want them to always feel their cleanest. After weight lifting class, my oldest son can quickly wipe down, smell great, feel great, and get to his next class. After practice, before the boys get in my truck, they can wipe down, so I don't have to smell them all the way home. After practice, my girls can wipe the sweat from their faces and not be dripping sweat all the way home. 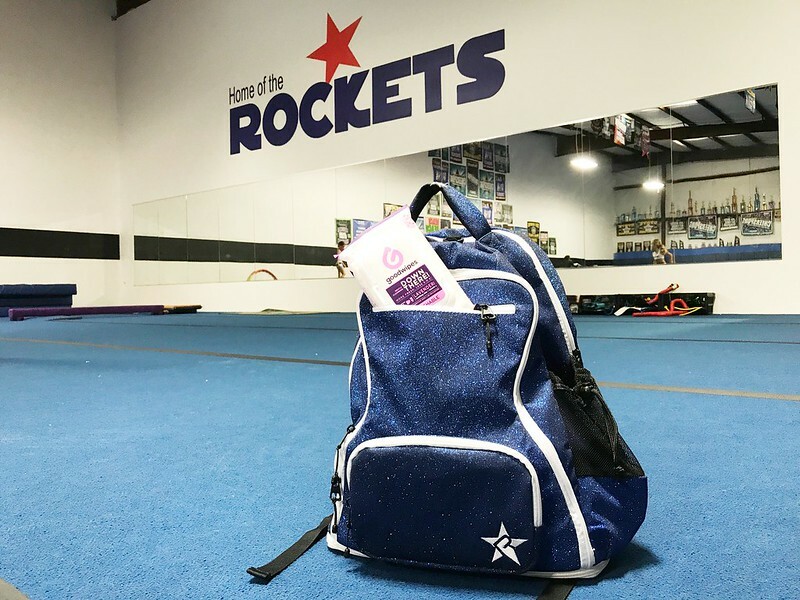 If while at practice they need to go to the bathroom, they can wipe and feel completely clean, so they can get back on the field or on the mat and practice at 100%. After all, when they feel good about themselves, they can perform at their best! *They're the only flushable and biodegradable feminine wipe on the market. Other fem hygiene wipes use pH/skin-threatening ingredients and are certainly not eco-friendly like Goodwipes. Don't worry, guys, there are wipes for YOU, too! *They have great, rehydrating ingredients like aloe, chamomile and vitamin E with NONE of the bad stuff like alcohol or parabens which can dry you skin. *Goodwipes smell great and feel super smooth and soft, too! We've used another brand of "wet TP" for years. Wiping with something other than toilet paper just makes you feel cleaner. I've replaced our other brand with Goodwipes, and we're all feeling our cleanest.